Women Giving Back, A HomeAid No. VA Program, is a non-profit organization that distributes new or like-new clothing to women and children in Northern Virginia who are in transition or crisis. 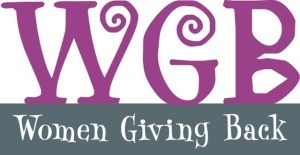 WGB works with the local shelters and care providers. HomeAid Northern Virginia builds new lives for homeless families and individuals through housing and community outreach. HomeAid leverages the resources of the home-building community and our corporate partners to conduct major renovations to shelters and homes to provide safe, stable, and new living arrangements for previously homeless individuals and families. HomeAid’s partners and resources help to significantly reduce the construction costs to shelter organizations allowing the shelters to redirect those dollars back into programs and services for their homeless clients.